One year ago, 12-year-old Emily Ruiz (at left in photo), from Jonata Middle School in Buellton, organized a toy drive as part of her 7th grade Kindness Project. Emily wanted to provide comfort to patients and family members who need to spend a lot of time at the doctor’s office. 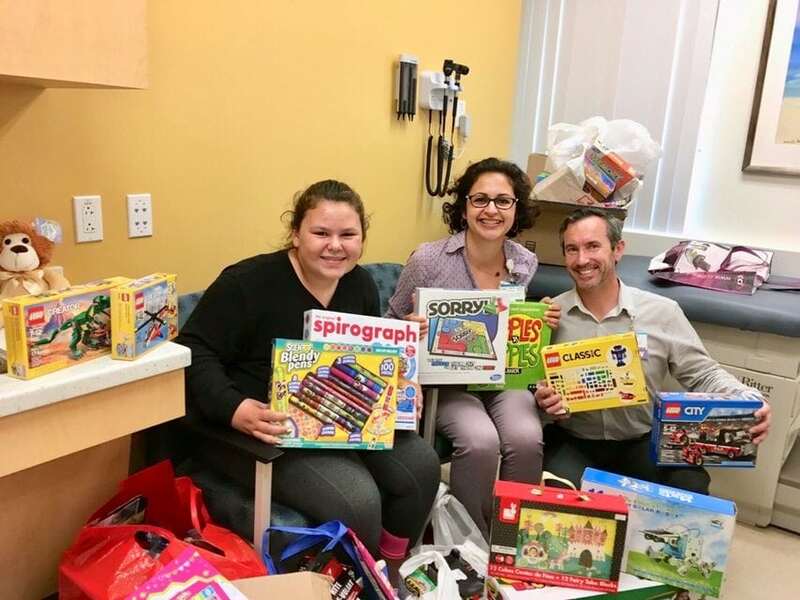 She was able to gather 470 donation items including art supplies, gift cards, puzzles, toys and games for children, teens and young adults who visit the Grotenhuis Pediatric Clinics at Cottage Children’s Medical Center. Thank you, Emily! Accepting the donations are (middle of photo) Pantea Rahimian and (at right) Sebastian LeBeau and Jacquie Williams (not pictured) who are medical social workers at the Grotenhuis Clinic.